Rugged Cams continues to be the innovator for low cost Stainless Steel Cameras by manufacturing a series of Explosion-Proof, Nitrogen Pressurized models. The Explosion Proof Camera is a High Resolution (680 lines) SONY-based camera housed inside a machined 316 Stainless Steel Pressure Vessel. 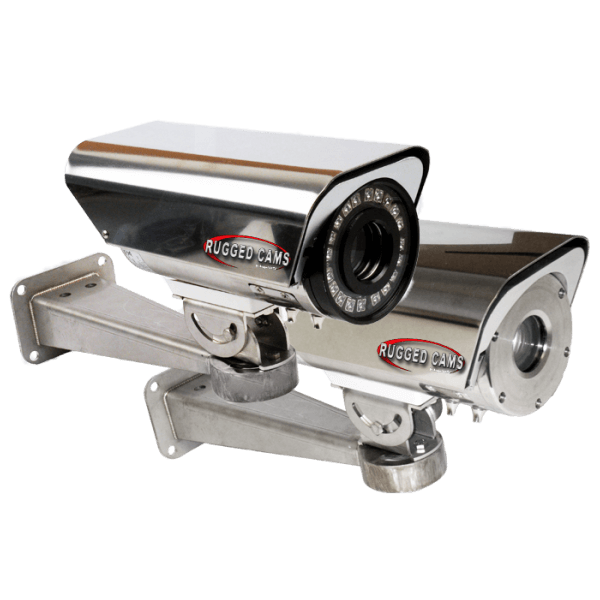 The Explosion Proof Camera Infrared model has 21 High Power Infrared LED’s that can beam invisible infrared light out to a distance of 300 feet. Both Models a 5-50mm Varifocal lens that can be zoomed to any point within that distance. This allows the user to adjust the view to whatever is needed for the site.